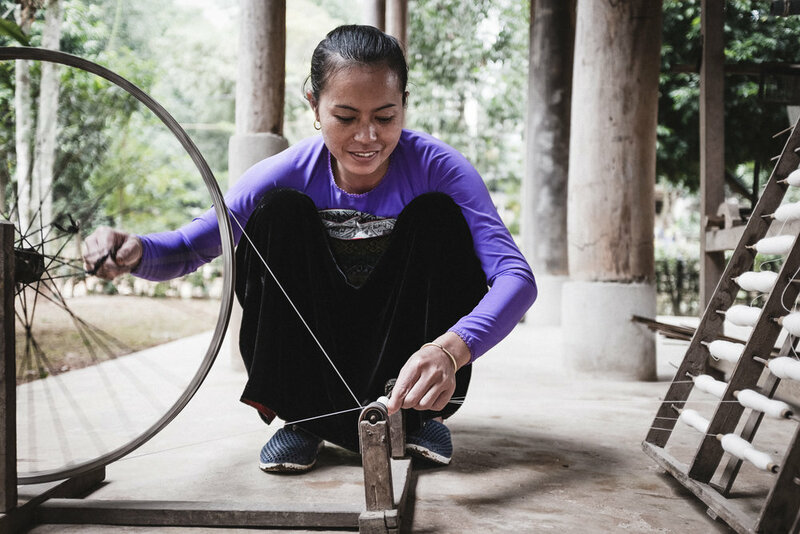 The Aram Gallery is hosting ‘On the Line’, a British Council exhibition exploring craft through the practices of women in Southeast Asia. The show’s opening coincides with London Craft Week (3-7 May 2017). 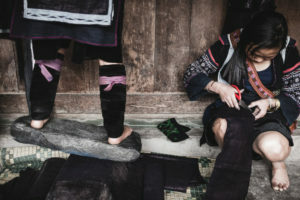 On the Line seeks to question the sustainability of craft in Southeast Asia in the context of increasing globalisation. It offers a range of insights into the lives and cultures of women working in this sector today. 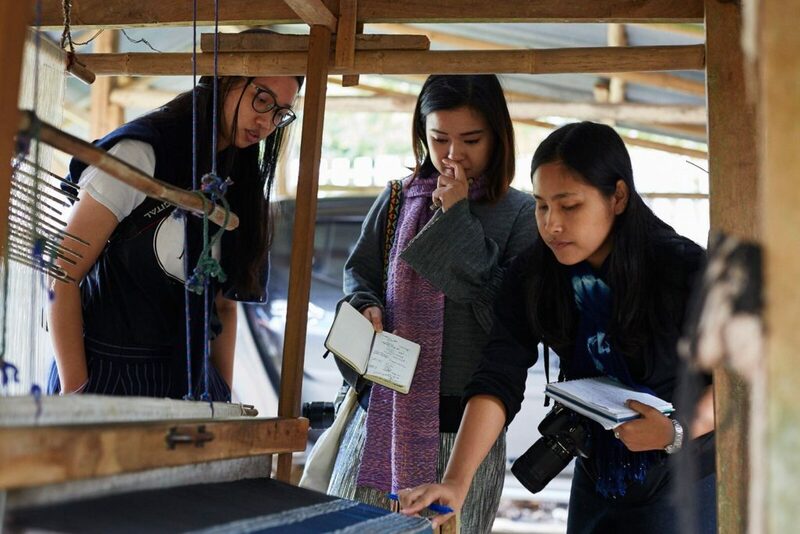 Curated by Martina Margetts and designed by Mentsen, the exhibition features impressions and unique materials collected by Royal College of Art students and local researchers during recent residencies in Thailand, Myanmar and Vietnam. Throughout their journey, the residents collected traditional products, everyday objects, raw materials and samples. They also documented their journey through journals, photography, film, interviews and sketches. Structured around three themes: craftsmanship, community and commerce, On the Line captures and highlights the current state of craft practice in these three countries through the eyes of the researchers. The research residencies took place in December 2016 with twelve participants; six students from the Royal College of Art were paired with six local researchers and practitioners. Over the course of two weeks, they explored the artistic practices and social conditions of women artisans. The Aram Gallery is presenting this exhibition by the British Council in order to engage our audience with first-hand research on materiality and craft in a wider context. Their continuing aim is to stimulate new and experimental ways of thinking about design. This entry was posted on Sunday, April 2nd, 2017 at 2:40 pm	and is filed under Events, Exhibitions, General, News. You can follow any comments to this entry through the RSS 2.0 feed. You can leave a comment, or trackback.